The Glasgow Anti Racist Alliance (GARA) are holding their annual Black History Month throughout October. As part of the series of events promoting knowledge of Black history in Scotland, the African and Caribbean Network are hosting a series of Swahili Lessons at the Centre throughout the month of October. Lessons take place at the centre Tuesdays and Saturday from 6.30pm. Please contact Graham if you are interested in attending. After a meeting last night its important that we extend a HUGE THANK YOU to everyone who attended the Projektions night, which went high above our expectations. We hope to organise another one soon. We realise that theres lots to improve on. We would very much welcome any feedback from anyone who attended the night. You can comment below or email any feedback here. Come along for what promises to be a great launch of a great new venue. The Library is open at the centre. Please bring along any unwanted books to fill the shelves. You can borrow the books for a month but please note your name, the date and title of the book in the Library log. Please email if you want to book an event at the GSC. 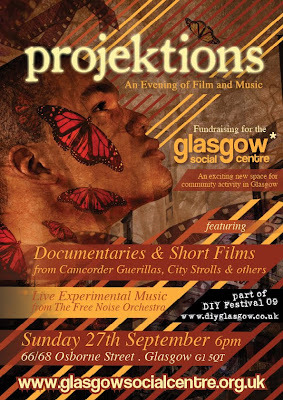 To raise much needed funds and awareness of the Glasgow Social Centre, we are putting an evening of educational films and experimental music as part of the Glasgow DIY Festival. Please spread the word by downloading and distributing a poster. Hope to see you there for what promises to be a terrific opening for the Glasgow Social Centre. Download a HIGH RES colour version here. Download a LOW RES colour version here. Download a HIGH RES Black and white (photocopy friendly) version here. Download a LOW RES Black and white (photocopy friendly) version here. 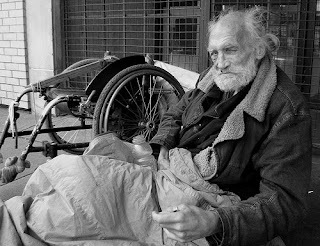 WASHINGTON – The poverty rate among older Americans could be nearly twice as high as the traditional 10 percent level, according to a revision of a half-century-old formula for calculating medical costs and geographic variations in the cost of living. The National Academy of Science's formula, which is gaining credibility with public officials including some in the Obama administration, would put the poverty rate for Americans 65 and over at 18.6 percent, or 6.8 million people, compared with 9.7 percent, or 3.6 million people, under the existing measure. The original government formula, created in 1955, doesn't take account of rising costs of medical care and other factors. Some photos from inside and around the Osborne street space.